Village improvement and maintenance in Potterspury is carried out by a number of groups and volunteers. The village verges and open spaces are mowed by contractors appointed by the Parish Council, and long-term improvement plans are drawn up by the Village Improvement Committee (VIC), which is a parish council working group. VIC is assisted by PIGS and PALS, two groups of volunteers dedicated to the improvement of our village environment. PIGS, or the Potterspury Improvement Group is a well-established group that has performed sterling work over the years. Volunteer members take practical action to improve the look of the village, whether it be organising a litter pick, planting a hedge or fitting bollards. The Environmental Co-ordinators, Andrew Stockton and Jon Millidge, clear up fallen trees and branches around the village. PALS, or Potterspury Against Litter is a clean-up organisation that meets two or three times a year to remove rubbish from the verges and litter from around the village. 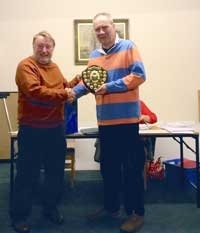 In February 2014 the Parish Council was pleased to award the Environmental Shield to Andrew Stockton, for his tireless work in keeping Potterspury tidy, free from litter and fallen trees. If you would like to help out, please email the Clerk or look out for information in The Old Mail.